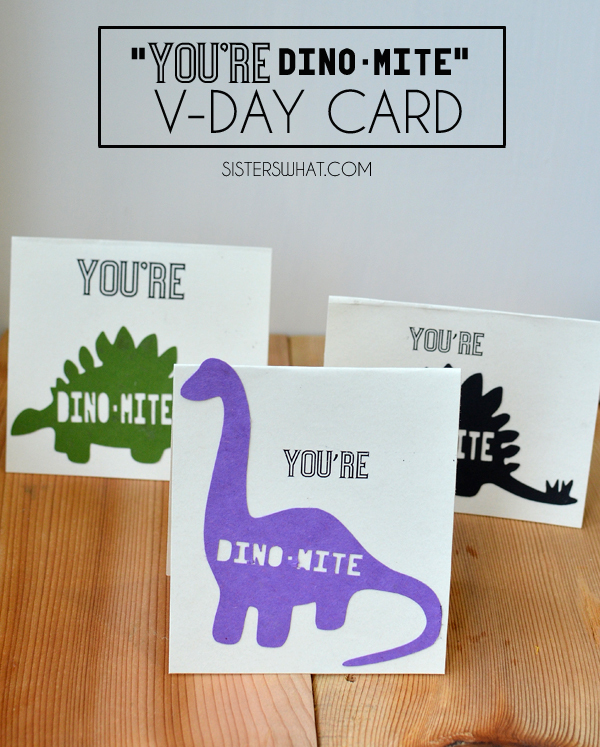 ' Dinosaur Valentines Day Card | Free Printable and Silhouette Studio File - Sisters, What! I attached jelly beans in a bag to one of them (didn't have enough on hand for all of them yet) and after I took the picture I realized the bag was crooked, oops. 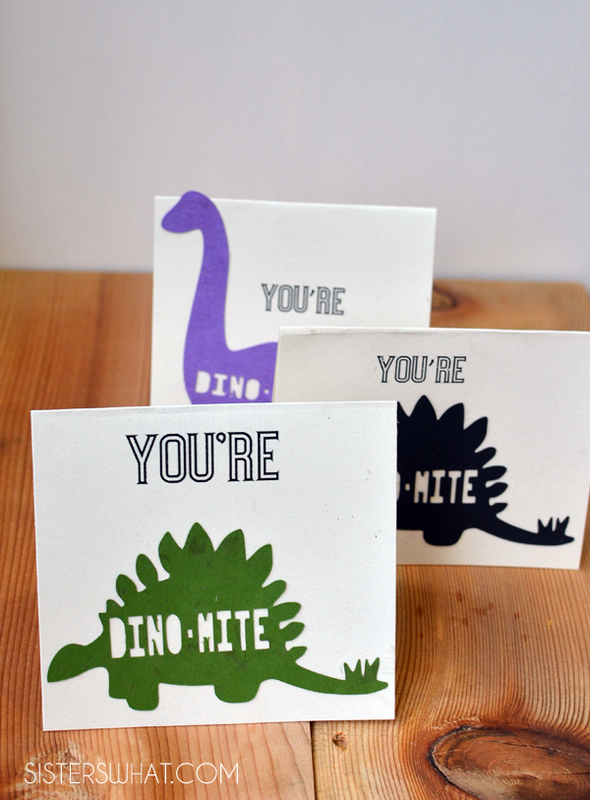 I used my silhouetteto cut out the dinosaurs and then I printed "You're" on card stock and then glued the dinosaurs below the "you're". 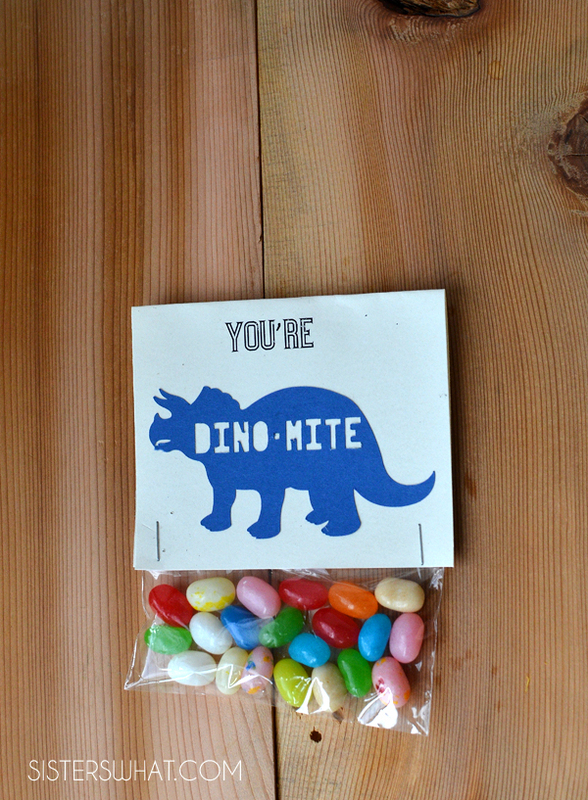 However, I also made a fun free "you're dino-mite" printable. You can download both the printable and silhouette file below. 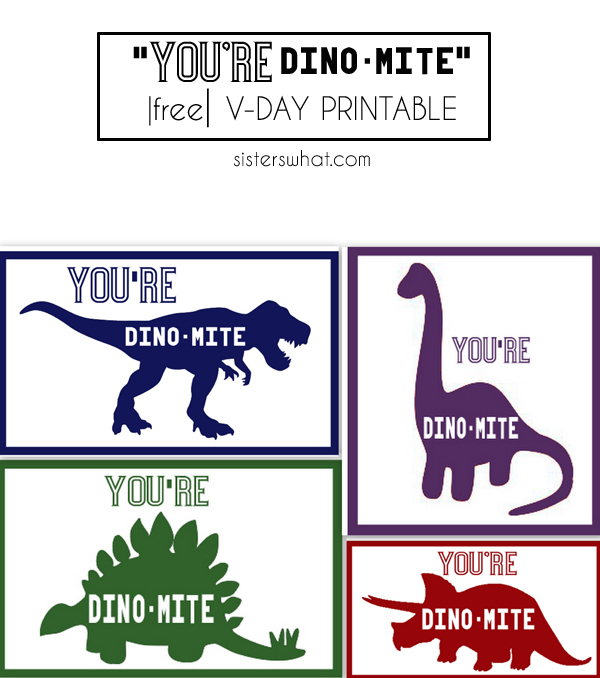 Happy Dino-Mite V-day! 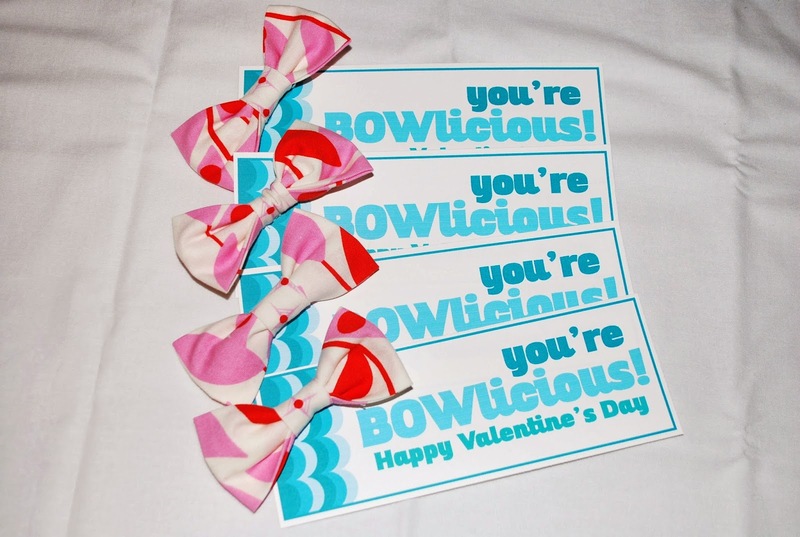 Oh my goodness, these are too cute!!! The jelly beans are like dino eggs! Too cute! This is awesome! 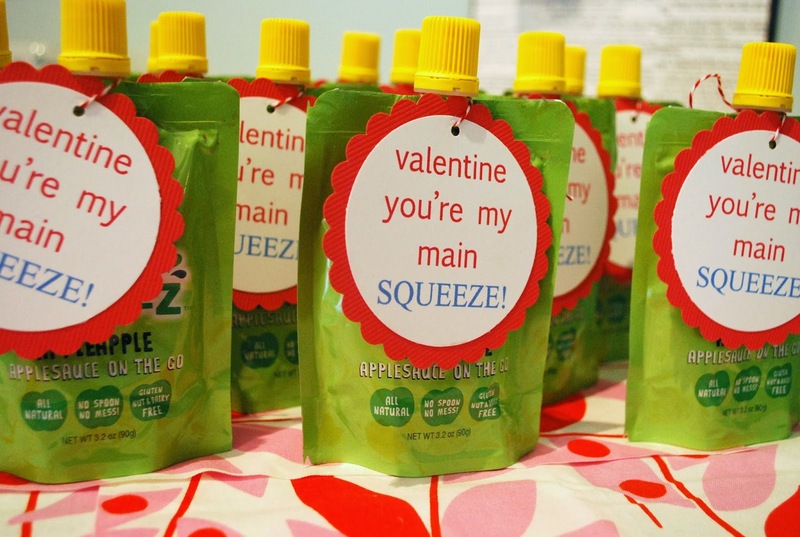 And the applesauce...so cute. Gah! These are absolutely adorbs!